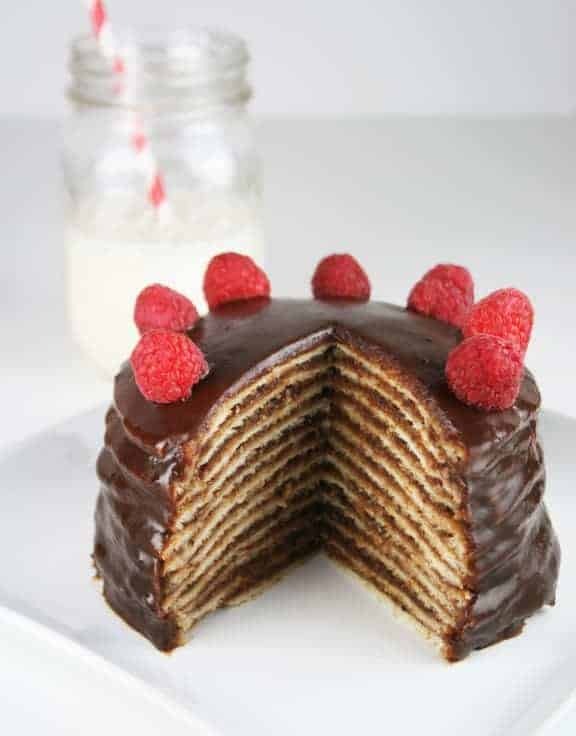 My second entry in the Eggo Your Way recipe contest is an Eggo 12-Layer Chocolate Pancake Cake. 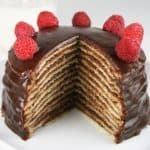 It’s a small version of the traditional 12-Layer cake made with pancakes that have been rolled out and a boiled chocolate icing. Recipe at the end of this post and also on the Eggo Facebook Page. To make icing, bring the sugar, cocoa, butter and evaporated milk to a full boil in a medium saucepan. Reduce heat to medium-low and cook until the icing has thickened slightly, about 3 minutes. Stir in the vanilla. Let the icing cool until thick enough to spread, but still pourable. Place a rolled pancake on a wire rack set over a cookie sheet. Spread with a couple of tablespoons of the icing, letting the excess run down the sides. 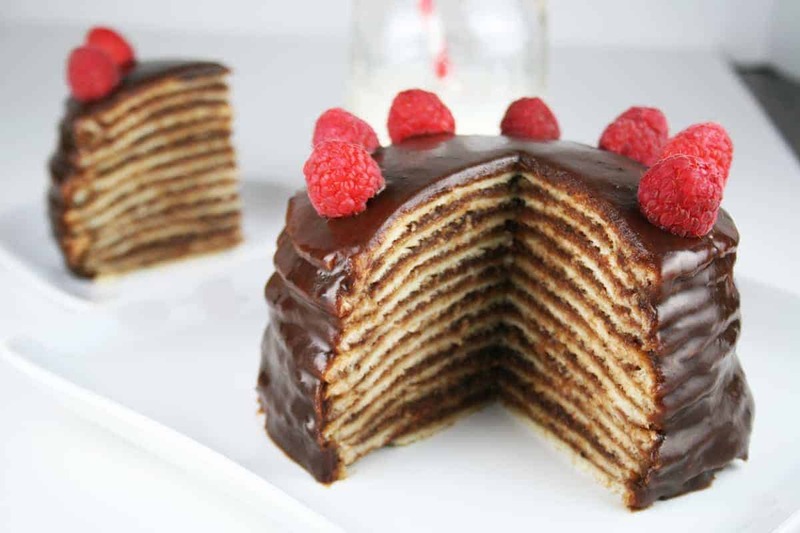 Stack the remaining pancakes, icing each layer. Pour the remaining icing over the top of the cake. Place raspberries on top. Refrigerate until icing is set, about 1 hour. 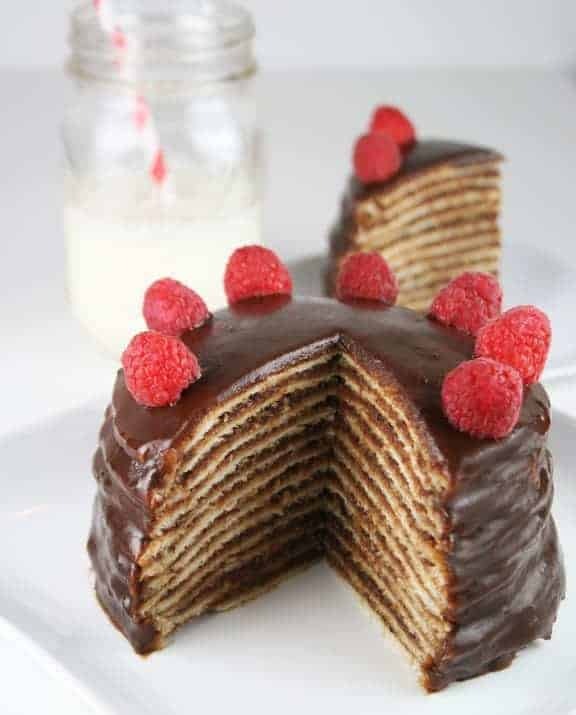 Serve with additional raspberries and whipped cream.